The challenge is to recreate the look of a Style Icon! At first I toyed with ideas are Marlene Dietrich, but I just don’t have the proper pant suits I’d like in order to portray her, so my mind pondered and Anna Piaggi floated to the top pretty quick! I have always been a HUGE fan of the a particular part of the fashion elite known as the eccentrics! I adore their wild abandon when it comes to fashion and love how many of them act as muses for talented designers. For them, fashion is truly a way of life and everyday is a work of art! I recreated 3 looks by her and had an absolute blast playing with the theatrical make up, whimsical accessories and textures in the items she choose. 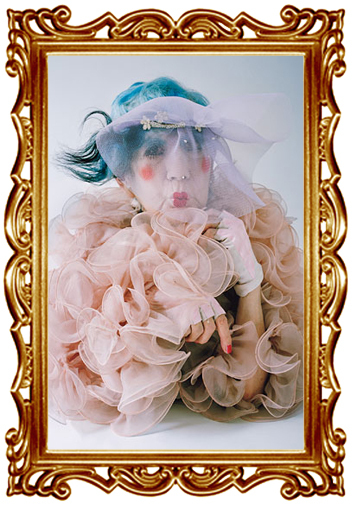 I admire her gusto and zest for eccentricity! This was a lot of fun to do, though extremely hot! Summer plus hat & fur & layers is a crazy mix!! I cannot wait to see what each lady did! I’m so happy to have the chance to participate! I love your take on Anna’s look. Fabulous! Thank you!! I had so much fun doing this up!! I had never previously heard of this woman and I don’t know how she’s slipped past me for so long but I’m already in love with her just from reading this. Your makeup and outfits are just so on point with her, you basically ARE her. I especially love the look in the second picture. This is so wonderful. I love her so much!! 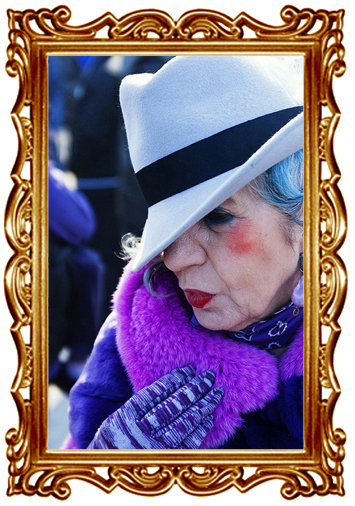 She was a long time friend and muse of Karl Lagerfeld’s. She passed away two years ago, but she was an amazing lady! You go girl !! you really captured her style !! This is SO INSANELY AWESOME.You’re amazing!! And what a fun challenge!! Thank you!! I had oodles of fun doing this one up!! You copy Piaggi so well with your own twist! OMG!! You totally nailed this! Rocking it in every shot! Thank you so much!! ?❤️?